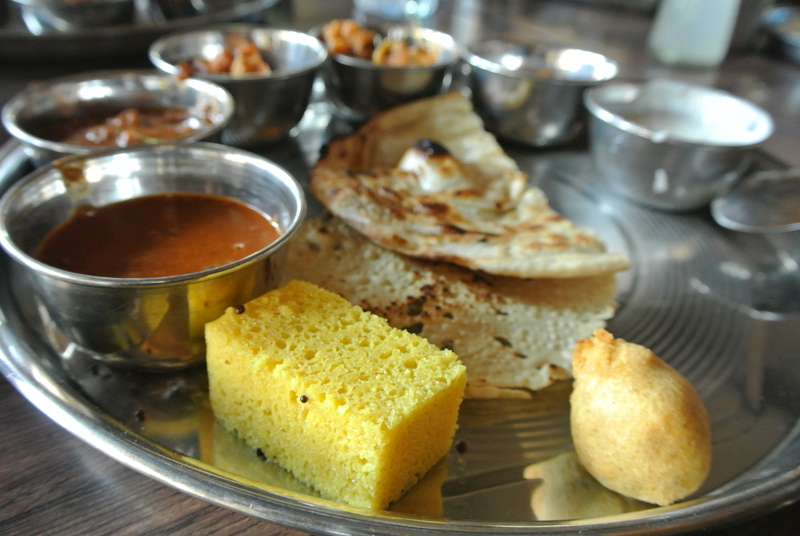 After a great visit to the Golden Temple in Amritsar we decided to stop into a nearby restaurant for lunch called Suruchi Unlimited Thalis Service Restaurant. 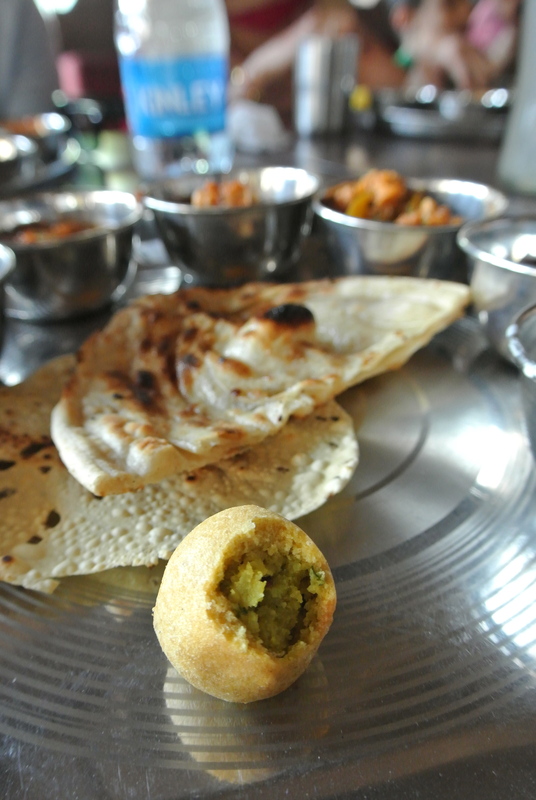 The restaurant served all-you-can-eat thalis. 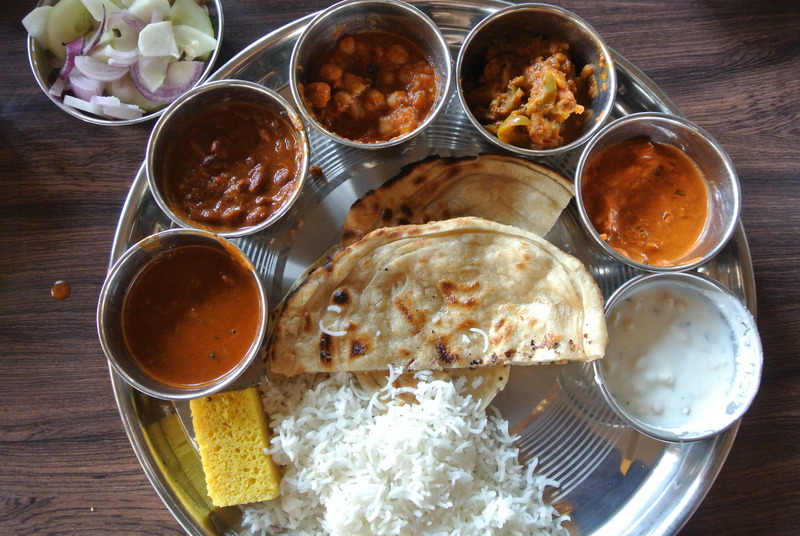 I had no idea what a thali was before that meal but I’m a BIG FAN! Its literally a plate full of different dishes and a great way to try so many different items. Each of us were set up with a tray and multiple small bowls. The server then comes by and ladles different dishes in each of the bowls. Along with the dishes you also get rice, naan and papad. 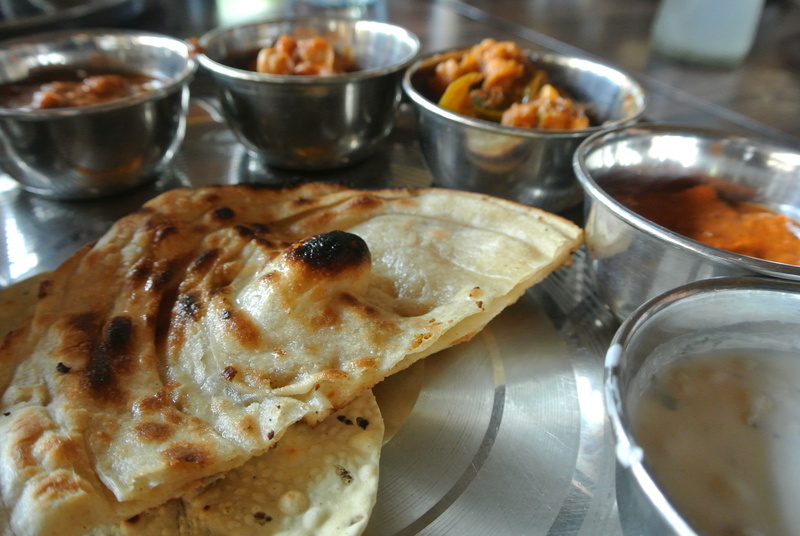 My favourite was the papad or papadum which is a thin crisp flatbread/cracker. So tasty with great flavour – I can eat a whole plate full of these. Out of the curry dishes, the shahi paneer was delicious! Made with paneer (cheese), tomatoes, cream and spices – to me, it was butter chicken without the chicken or butter! Check it out! 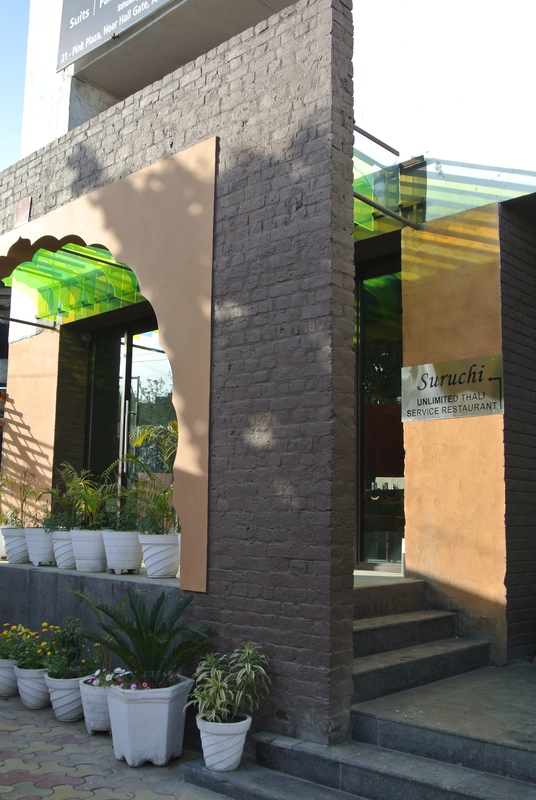 Suruchi Unlimited Thalis Service Restaurant. 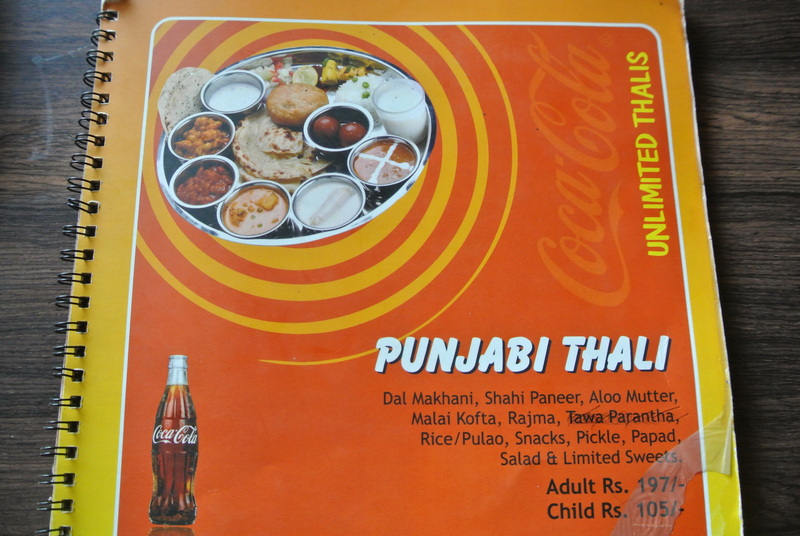 I ordered the Punjabi Thali. 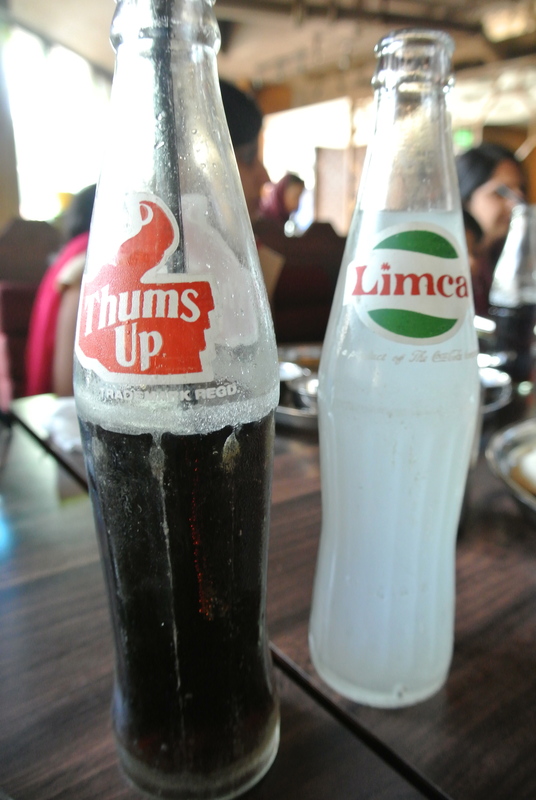 My favourite sodas in India – Thums Up and Limca. 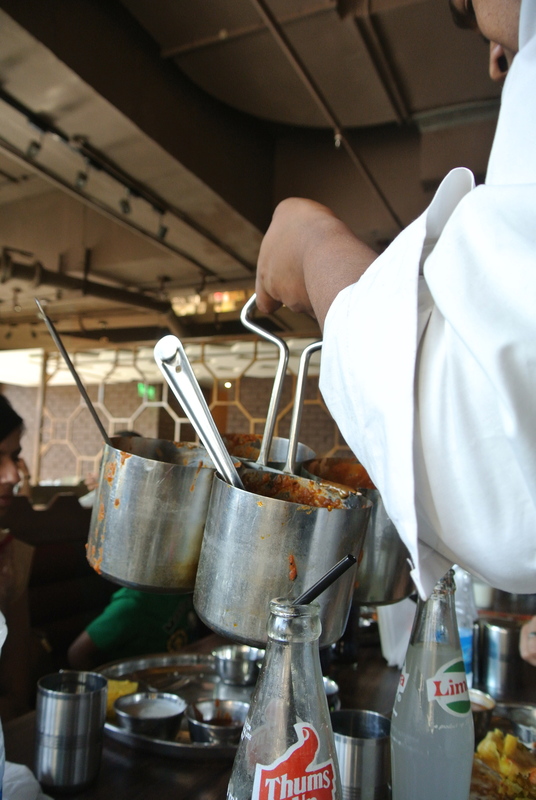 Server scooping curries and dishes into the thalis. A spongy snack best dipped in one of the curries. Another savoury snack filled with what tasted like potatoes and spices.